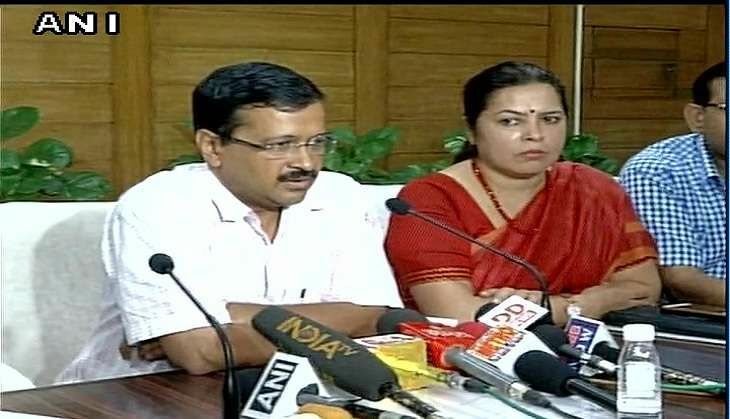 On 21 September, Delhi's Race Course Road, where the Prime Minister's residence is located, was renamed as Lok Kalyan Marg, after the decision was finalised by BJP lawmaker Meenakshi Lekhi and Delhi Chief Minister Arvind Kejriwal at a New Delhi Municipal Council meeting. The proposal for renaming the stretch was first put forth by Meenakshi Lekhi, who held that the existing name was not in tandem with Indian culture. She had proposed to the New Delhi Municipal Council (NDMC) to rename Race Course Road as 'Ekatma Marg' based on the philosophy of her party's ideologue Deendayal Upadhyay. Opposing the proposal initially, AAP MLA Surinder Singh demanded that the road should be rechristened after a martyr. Singh, a former National Security Guard (NSG) commando who suffered injury in the 26/11 Mumbai terror attacks, said several veterans have approached him saying if the road is to be renamed then it should be done to honour martyred soldiers. "Race Course Road should be renamed after any soldier. I propose that it should be renamed after 1965 war hero Flt Lt Nirmaljit Singh Sekhon, who sacrificed his life for the nation. Renaming of road should not reflect the ideology of the RSS," Singh said. He said Race Course Road also houses two air force stations. "I have been approached by several veterans in my constituency. They want to the road to be renamed after any solider," the Delhi Cantonment MLA said. Lekhi, who is a member of NDMC, said in her proposal to the civic body that as the residence of the Prime Minister is situated on Race Course Road, the new name - Ekatma Marg - would remind every PM about the last person of the society. "(Lekhi) has, therefore, requested to rename Race Course Road under the NDMC area as Ekatma Marg so that this name would remind every Prime Minister about the last person of the society throughout life," stated an agenda of the Council Meeting of NDMC which is likely to take a decision in this regard on Wednesday. Lekhi, who is an MP from New Delhi, also cited the past cases of renaming roads which fall under NDMC in her proposal submitted to the civic body on 9 September.